The cardholder denies authorizing or participating in the transaction that was completed with a counterfeit card in a Card Present environment. The issuer reported the transaction as counterfeit Fraud Activity through VisaNet and online authorization was obtained without transmission of the entire unaltered data on track 1 or track 2, or full-chip data. OR The cardholder denies authorizing or participating in the transaction completed with a counterfeit card in a Card Present environment and the card is a chip card (first digit of the Service Code is 2 or 6). Furthermore, either the transaction did not take place at a chip-reading device (terminal entry capability code was not 5) or, for transactions not involving a Europe Member, the transaction was chip-initiated and, if the transaction was authorized online, the acquirer did not transmit the full-chip data to Visa in the authorization request. Provide documentation proving that the issuer did not properly list the account number on the Exception File, did not report the fraud activity, or did not close the account. 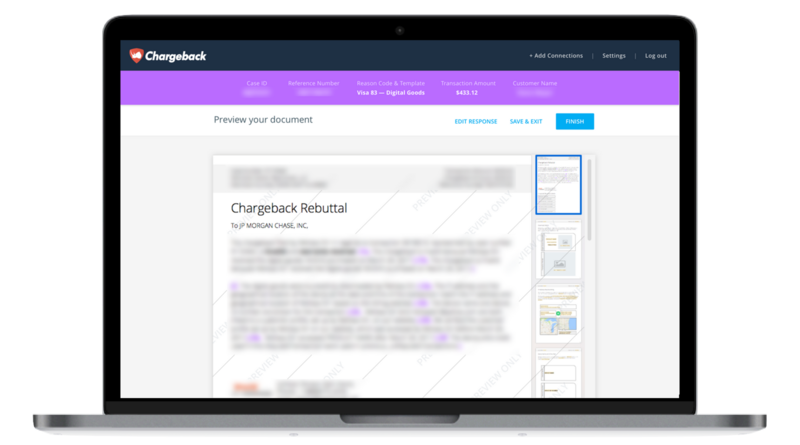 Use the Chargeback App to respond to Visa Chargeback Reason Code 62.